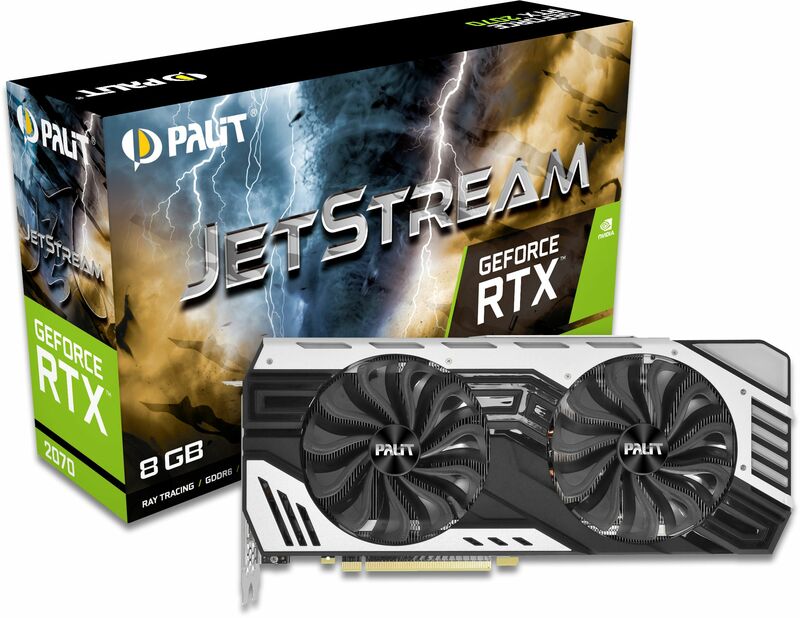 The Palit JetStream series of graphics cards features advanced innovative cooling and an optimised product design to deliver the ultimate gaming performance. As the latest and the next generation NVIDIA Turing architecture features power efficiency, gaming experiences and latest gaming technologies, the Palit GeForce RTX 2070 JetStream series guarantee gamers cutting-edge performance and a explosive new gaming experience. GeForce RTX graphics cards are powered by the Turing GPU architecture and the all-new RTX platform. This gives up to 6X the performance of previous-generation graphics cards and brings the power of real-time ray tracing and AI to games. Ray tracing is the definitive solution for lifelike lighting, reflections, and shadows, offering a level of realism far beyond what's possible using traditional rendering techniques. NVIDIA Turing is the first GPU capable of real-time ray tracing. Experience next-generation VR performance, the lowest latency, and plug-and-play compatibility with leading headsets-driven by NVIDIA VRWorks technologies. VR audio, physics, and haptics let you hear and feel every moment. The color lighting from RGB LED can be changed in accordance with graphics temperature. 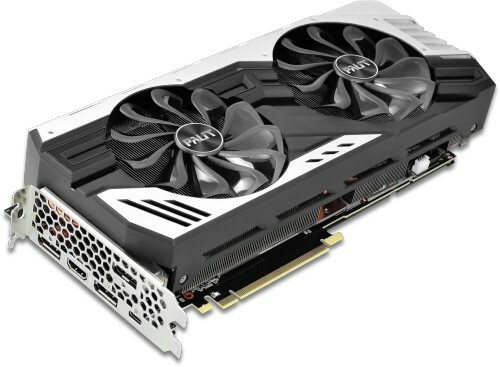 The temperature can easily be identified by different colors from the external appearance of the graphics card. Users can choose from 16.8 million colors to suit their own style and preferences. The LED Lighting effect can be controlled by ThunderMaster Utility. Keep things silent while experiencing multimedia application and general workload. The fans only operate while working on heavier loads such as gaming or when the GPU temperature surpasses 60°C. Inspired by the power of jet engines, the TurboFan Blade is designed to improve cooling performance by generating a powerful air stream and air pressure. TurboFan Blade 2.0 with the advanced Fan Blade design, it provides lower noise design and higher air pressure.